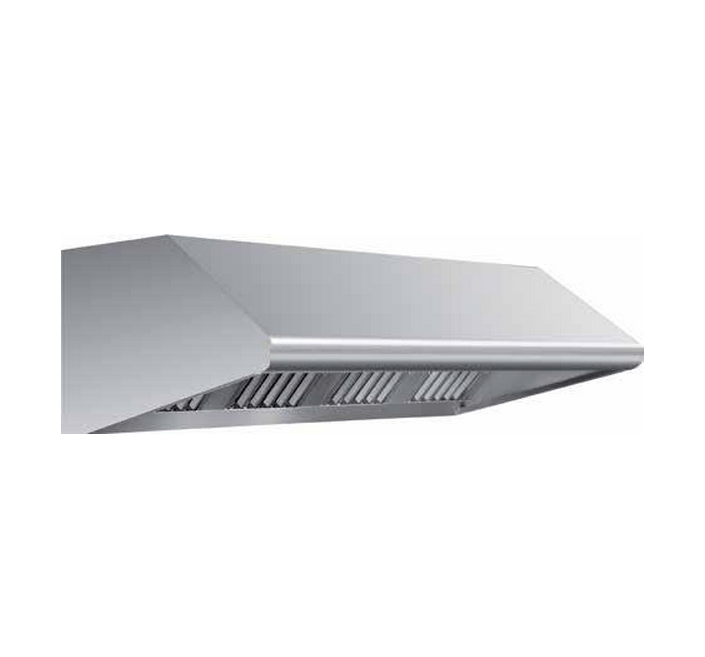 Hoods with Fan remote model BASIC: No incorporates plenum interior, which is recommended for small steps in which the sectored regulation is not necessary. 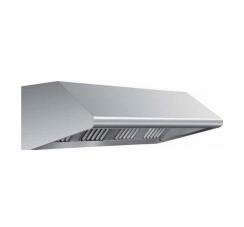 The performance of these depend on the ventilation unit that is equipped with the installation. • inadequate measures. Bells murals higher funds a1100 mm, or central upper wide A2400 mm, in which the upward flow of vapor and fumes is excessive collector distance filter, which is after the sucking, (in these cases is more advisable to install bells commutator inverted). • Furnaces great depth in which the maximum output of smoke or vapor is carried by the front (most, including Josper type). • Roasters chicken firewood. Due to the high temperature, an updraft is generated gases at high speed which may not be collected if we place the collector inverted.